One of the most beloved things about living in Louisville is the great parks. Louisville has over 120 public parks just within the metro area and many of them were created by the same landscape architect that created Central park, Fredrick Law Olmstead. 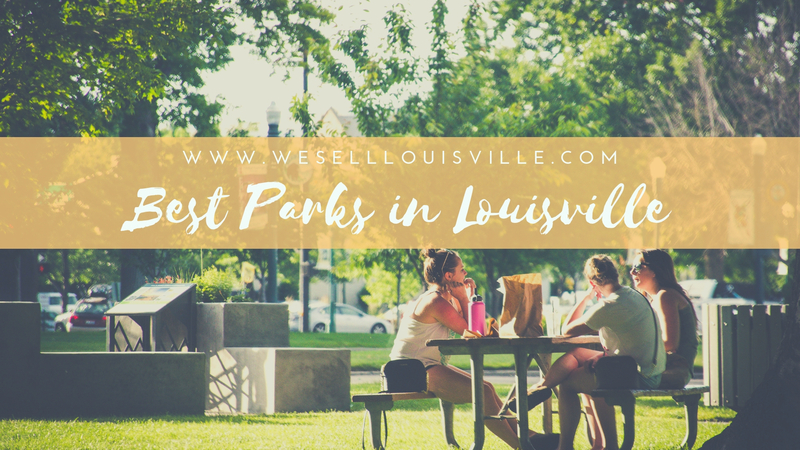 Check out these most popular parks in Louisville. Located in the Highlands at the east end of the city, Cherokee Park is quite possibly the most loved park in Louisville. This park is not just a hotspot for locals it is a popular attraction for tourists as well. Cherokee Park sees about 500,000 visitors a year; it is one of the 50 most visited parks in the country. The 2.4 mile scenic loop, fenced dog park, and bird sanctuary are just a few reasons why people love Cherokee Park.
. There are 739 acres to enjoy in Iroquois Park with an open air amphitheater, golf course, and the most amazing panoramic view points. There is motor vehicle access to the highest viewpoints during mild weather via Uphill Road, but foot and bicycle traffic is welcome all year. This park is most loved by hikers, runners, and snow adventurers in the winter. 85 acres of water front land along the river. This park was once a very unkept piece of the city. Now it is a beautiful green space right in the middle of one of the most urban parts of Louisville. It took several years and three phases, but it is now one of the favorite outdoor spots in Louisville. A Fredrick Law Olmstead designed park in the western part of the city. This park features 200 acres, an 18 hole golf course, River Walk access along the Ohio River, and an awesome sports complex. This is not the typical trees and grass park with play structures, this is 40,000 square feet of a concrete structure. Louisville Extreme Park is a skate and bike park with 24 ft full pipe, two 11 ft bowls, two 8 ft bowls, two 4 ft bowls, a 6 ft bowl, fun boxes, street course,6 ft flat bank, ledges, rails, and a 12 ft wooden vertical ramp with a 13 ft. extension. It is a park enjoyed by skaters and bikers of all levels. A beautiful park also designed by Frederick Law Olmstead. Central park is in one of the most architecturally beautiful places in Louisville. Central Park is located in Old Louisville across from St. James Court a street famous for its beautiful Victorian structures. In the summer many people flock to the park to enjoy the Kentucky Shakespeare Festival. One of the largest and most eclectic of parks in Louisville. The lake is the most popular feature of the park, especially among fishermen. McNeely Lake Park offers many activities including horseback riding, Korean War memorial, model airplane flying field, boat ramp, and many hiking trails. Living in Louisville is great for many reasons including getting outdoors even in the bustling city. If you are looking to buy a home in Louisville we can help! Contact us anytime.